VidCutter is an open-source app for quick and easy video trimming / splitting and merging / joining for simple quick edits. 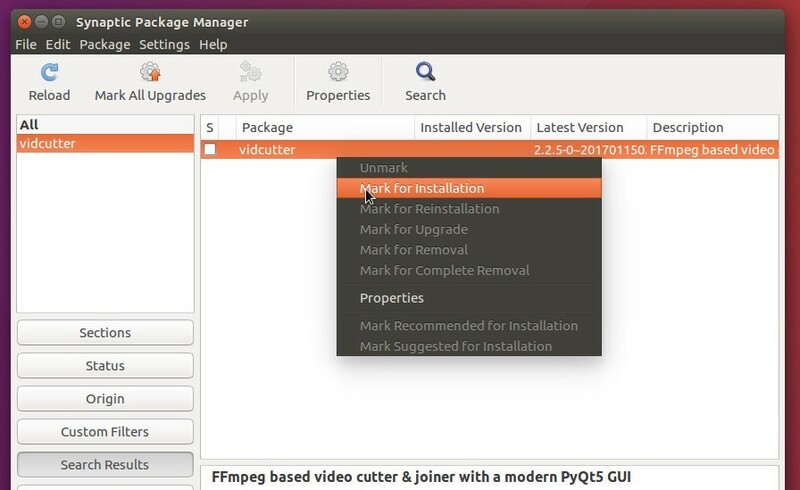 The software is written in Python3 with the PyQt5 GUI framework, and based on FFmpeg multimedia framework. The developer offers the latest packages via a PPA repository, which so far supports for Ubuntu 17.04, Ubuntu 16.10, Ubuntu 16.04, Ubuntu 14.04, and their derivatives. And the PPA can be removed via System Settings -> Software & Updates -> Other Software tab.